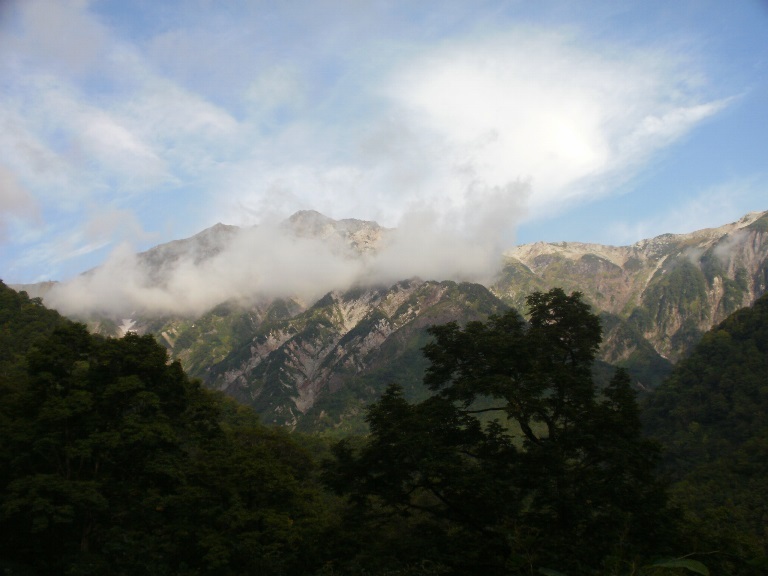 This is one of the finest hikes in Japan, ascending the highest peaks in the North Alps - and well known, too, so you won't be alone, especially on Shirouma-dake where the hut near the peak accommodates 1,500(!). After ascending the Daisekkei, the "Big Snowy Valley", you will bag three of the famous "100 Famous Mountains", 2,932 (or is is 2,899m?) Shirouma-dake, 2,814m Goryū-dake and 2,889m Kashima-yari-ga-take. The high and thrilling ridge between the latter is perhaps the high point of the journey. A climb up and back Shirouma-dake can be made in one very long day, or a short circuit returning via Yari Onsen at 2,100m can be made in two. Tough walking in remote mountains, where altitude can cause problems. Come fully prepared. Note: Negs: popularity (mainly Shiroma); frequent bad weather. Usually begun near Hakuba in the north, and ending at Omachi to the south. Day 1: involves climbing the Daisekkei, which is choked with snow all year and a dramatic sight. But it is a significant period on trodden near-ice, so walk with care (or buy basic crampons). From there you should summit Shirouma-dake (AMAZING views on a good day) in some 4-5 hours, for a total of some 6 hours. 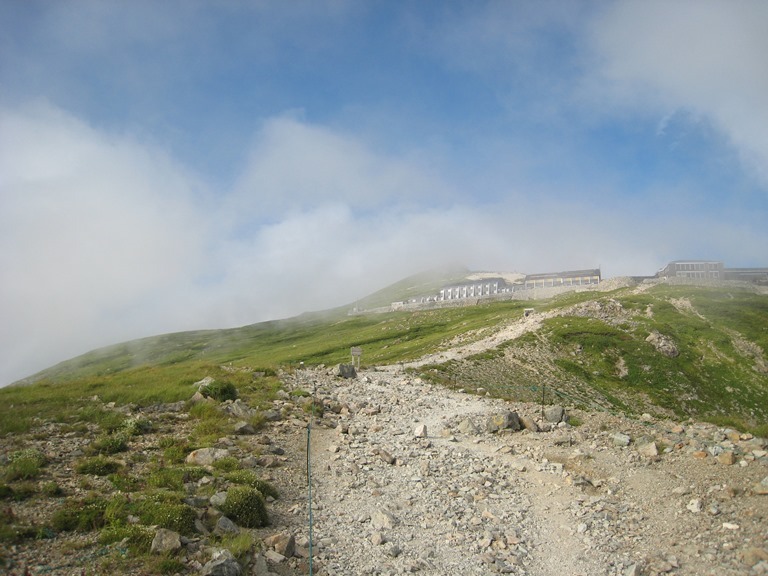 But you will ascend from 1,250m to 2,932m, source 1,680m, so this a BIG day and you will feel the altitude. Stay in one of the (huge) huts below the peak. A climb up and back Shirouma-dake can be made in one very long day, or a short circuit returning via Yari Onsen at 2,100mcan be made in two. 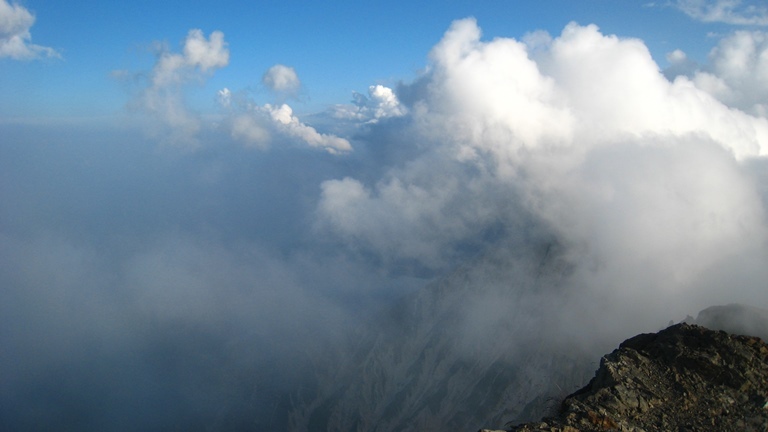 Day 2: A high-level undulating traverse and climb of Karamatsu-dake in 5-7 hours. Fabulous views on a good day, a really memorable day's walking. Day 3: more ridge walking then slog gets you over sheer, dramatic Gorgū-dake. A steep descent and then very rugged ridge hike to the Kiretto-goya hut lodged in its tiny notch in the sheer ridge. 6-7hours. Day 4: An exposed area with chains and ladders then a long slog get you up Kashima yari-ga-take for more enormous views, gasp-inducing for two reasons by the time you are there. Thereafter it is a long descent (taking in some lesser peaks) to the roadhead. Easy(ish) rail access from Tokyo. Then bus to Hakuba and on to the trailheads. At the end, bus to the railway network. A section in Lonely Planet's Trekking in Japan gives good practicalities. And a chapter in the charming (if now quite old) Hiking in Japan: an Adventurer's Guide to the Mountain Trails by Paul Hunt. Best months: early July to early October, to avoid the snow (except in the Daisekkei). This is tough walking in remote mountains (albeit from hut to hut), where altitude can cause real problems. Proper mountain weather. Come fully prepared.